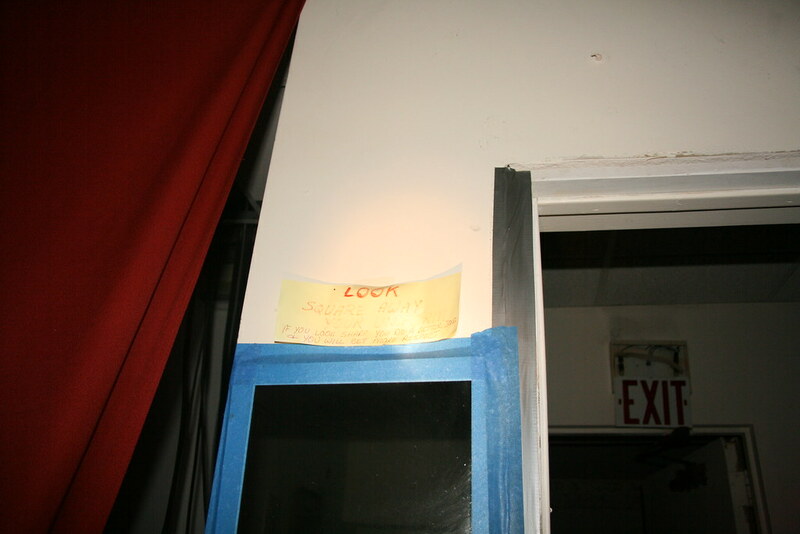 A sign hangs above the mirror right next to the door into the security room. It reads, "LOOK - Square away your uniform. If you look sharp, you do a better job and you will get more respect." Ironically the mirror is hung with masking tape, not exactly the sharpest way to mount a mirror.